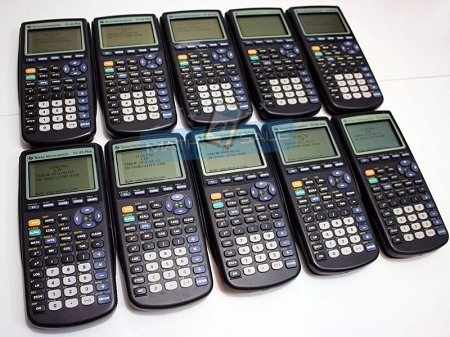 TI-83Plus Classroom Set of 10 - Used Very Good - TI-83 Plus Graphing Calculator School Pack (10) With Extended 180-Day Warranty. Great way to save even more money on your budget with a qualified warranty from a business who has been doing this for over a Decade. We stand by every product we sell and we would love the opportunity to serve you and your school. What makes these items Used and what is Very Good? All items have gone through a 12-point inspection and Screens are in good shape and bodies have lights scratches and/or previous name/school engraved on the back. Otherwise units are in great condition and guaranteed to last! Limited stock of used units to save even more on your budget - these always sell out quickly. If you have any questions please call 800-805-3392. We accept Purchase Orders and they can be faxed directly to 888-325-6940. The Price you see is what you pay with FREE SHIPPING. 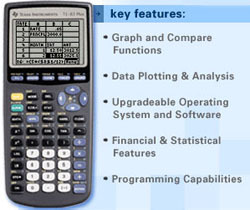 10 TI-83 Plus Graphing Calculators - Used, 10 Slide Covers, 5 I/O Link Cables, 1 CD with Software and APPs, 40 AAA Batteries.